Nothing says summer more than a road trip and this weekend we're heading down the California coast to Dwell On Design LA, a three-day exhibition featuring world-class speakers, product demonstrations, education classes for design professionals, and seminars for design-enthusiasts. See details below to get a free one-day pass! Our home for the weekend? A tiny shipping container that we had to make over! We called on a designer we knew was perfect for the project: LA-based Decorist Celebrity Designer Ryan White. We've been a big fan of Ryan's work for a while now - we love his understated, clean, rich, comfortable and sophisticated design style, and we asked him to bring that aesthetic to our Dwell on Design LA space. As a unique twist, we asked him to design the space using items from ATG Stores, one of our partners who we are sharing the space with. Using the Decorist online interior design platform, Ryan then 100% virtually designed a luxe, warm and masculine mid-century modern living room we love, one that fit just right inside our refurbished shipping container. 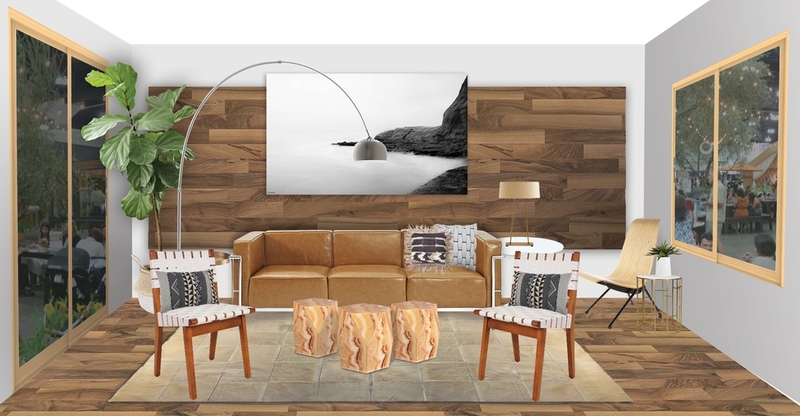 As with all Decorist projects, our designers create realistic 2D design boards. Here is Ryan's concept board for the shipping container. In Ryan's words, "the design inspiration was to keep the environment modern but with warm and inviting elements. The hide rug, the organic stone accent tables and lots of greenery help soften the cooler aesthetic of the shipping container. Bringing in the cognac leather sofa adds a sense of luxury and additional warmth. At RWD we always like to throw in a curve ball by mixing time periods. Utilizing mid-century lighting, and accent pieces like the brass side table, is both contemporary and contributes to the feeling of cultivated living." We also have to mention the chic marble and iron bar cart, the bold graphic and textured pillows, and the mid-century lounge and side chairs - what a stunning combination! Already fallen for Ryan White's aesthetic? See more of Ryan's design portfolio or start a project and request Ryan as your designer today! In addition to Ryan, all our designers can help you make over your space, whether it's the size of a tiny container or a much larger space or house. We have designers who specialize in every style, from Modern to Traditional, Global to Coastal, Hollywood Regency to Eclectic. Start a room design project today! 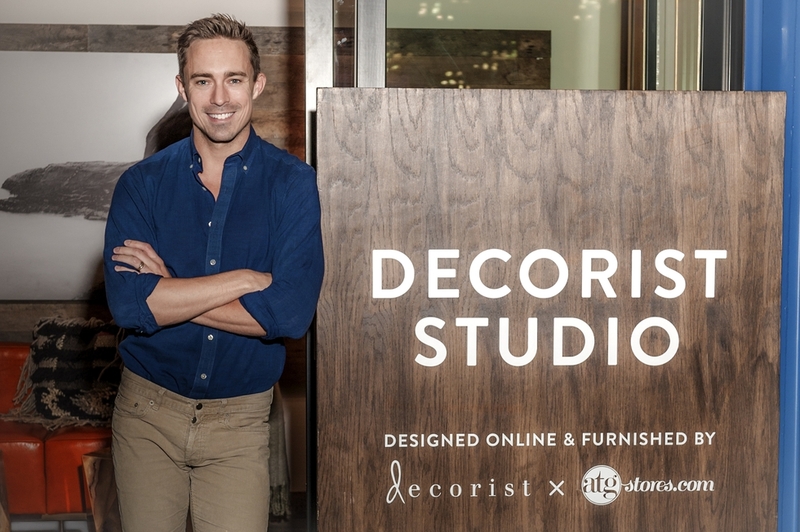 Visit Decorist at Dwell on Design LA this weekend! If you live around the LA area, be sure to stop by and say hello - we love to talk all things design. See below for a link to get a free one-day pass to the event on us!